If you Rear End Someone, is it Always Your Fault? Rear-end collisions are common. Every year in the United States, there are approximately 1.7 million rear-end car crashes. Because of this, there’s a good chance that you will be involved in a rear-end collision at some point in your life. If you were in a rear-end collision where your vehicle was the one in the rear, you might be wondering if you are automatically at fault. Many people assume that the rear car in a rear-end collision is always at fault, but that is not true. There are many circumstances where the driver of the vehicle in front is found to be at fault. You should always talk to a car crash attorney before drawing any conclusions about who is at fault. Do not listen to what someone from an insurance company tells you because they aren’t there to protect your interests. Determining fault is complicated, so be sure that the attorney you talk to has a lot of experience working with car accident cases. If the other driver was talking on the phone, texting, eating, fiddling with the sound system, turning around to talk to someone in the back seat, or engaging in any kind of distracting behavior that interfered with the driver’s ability to pay attention to the road, then that driver might be at fault. That’s especially true if the driver was driving erratically, drifting across lanes, or otherwise making unpredictable or unexpected moves. If the other driver was driving while drunk, stoned, or otherwise impaired by drugs or any substance, then that driver might be at fault for the collision. Driving while impaired is extremely dangerous to every driver on the road. If the other vehicle was broken down and was standing still on a busy road, you may not have been able to avoid hitting it, even if you were driving in a safe manner. In that case, you might not be at fault. If you rear end a driver who cut you off by making an illegal turn, the other driver was probably at fault. Even if the other driver had the right to make a turn, the driver still had an obligation to make sure that traffic was clear and that it was safe to make the turn. If you had the right of way and the other driver turned when it wasn’t safe, you might not be at fault. If the other driver unexpectedly went into reverse, whether on the road or in a parking lot, you may not have had enough time to react. In that case, the other driver might be found to be at fault. If the other driver suddenly slammed on their brakes for no reason, then you might not be at fault for the rear-end collision. If the other driver’s brake lights were not indicating that the vehicle was slowing down, you might not have been at fault for the collision. In all of the above circumstances, the driver in the front wasn’t driving properly. The driver may have been doing something negligent, reckless, or even illegal. If the front driver did something unexpected where you did not have enough time to avoid a collision, you are less likely to be found to be at fault. If you were injured in a rear-end collision and you want to show that the other driver was at fault, you will need to collect evidence. This involves taking photographs of the accident scene and the surrounding area, getting names and contact information of any witnesses, and keeping copies of any records of medical treatment you received for your injuries. 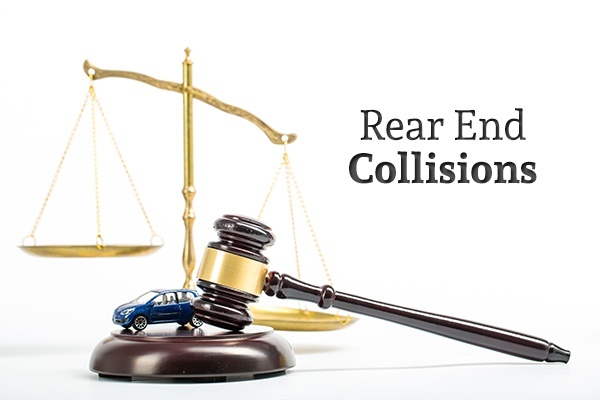 If you suffered injuries in a rear-end collision, you need to get the right legal team to help you prove your case and get you the compensation you deserve. It takes a lot of legal knowledge and experience with car accident cases to prove that the front driver was at fault in a rear end collision. The attorneys at Juan Hernandez Law have that experience. They leave no stone unturned in their quest to get you all the compensation that you are entitled to. Contact Juan Hernandez Law today for a free consultation with a member of their experienced legal team.